Heart disease can be treated more effectively with this diet than cholesterol lowering drugs. The Mediterranean diet may reduce the risk of dying early by a third in patients with a history of heart disease. Heart disease is the leading cause of death worldwide. It was previously believed that cholesterol lowering drugs such as statins are the most effective method of fighting this serious health condition. 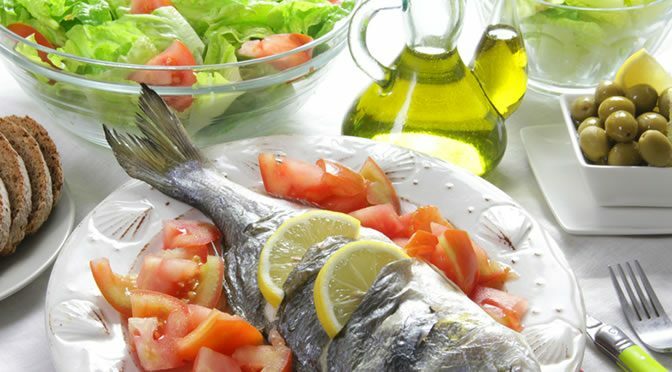 A Mediterranean diet emphasizes eating mainly plant-based foods such as nuts, whole grains, legumes, fruits and vegetables and olive oil with a moderate consumption of animal-based protein such as fish and chicken. “The Mediterranean diet is widely recognised as one of the healthier nutrition habits in the world. In fact, many scientific studies have shown that a traditional Mediterranean lifestyle is associated with a lower risk of various chronic diseases and, more importantly, of death from any cause. The Mediterranean diet showed an increased survival rate of 37 percent in patients with a history of heart disease, such as coronary artery disease and stroke. The study recruited 25,000 residents randomly in Molise, in Southern Italy, and patients with a history of heart disease were among them. During a 7-year follow-up, 208 patients died, but those who kept closely to the Mediterranean dietary regime were less likely to be among them. Their investigation also looked into the effects of individual foods used in the Mediterranean diet. “These results prompt us to investigate the mechanism(s) through which the Mediterranean diet may protect against death. This was an observational study so we cannot say that the effect is causal. The study was presented at European Society of Cardiology (ESC) Congress, 2016.